Dubbed for her “exceptional contribution to the advancement of human rights”, detained Senator Leila De Lima receives this year’s prestigious ‘Prize for Freedom’ award by the London – based political international federation, Liberal International. Various groups including the cause – oriented Tindig Pilipinas, on Saturday, congratulated De Lima saying that she “embodies what is the best of us” as her achievement is “more than an individual award, it is a victory for the Filipino people,” the group said. Members of the Democratic Warriors and its affiliated organizations, in a statement, said that the Senator deserves the award for defending human rights even if it meant “losing her own freedom”. “Even now, and despite your current circumstances, you continue to be the voiced of the oppressed and downtrodden,” the group said. “We all continue to pray for your safety and wellbeing and hope for the day that we can soon all be together in the celebration of the just society and bright future of our beloved country," the group added. De Lima came next to the then President Corazon Aquino to have received the said award when the latter became the heroine behind 1986 People Power Revolution that overturned the dictatorship of the Marcos regime. The former justice secretary who turned lawmaker was accused of obtaining ‘drug money’ from high – profile prisoners between 2010 – 2015. 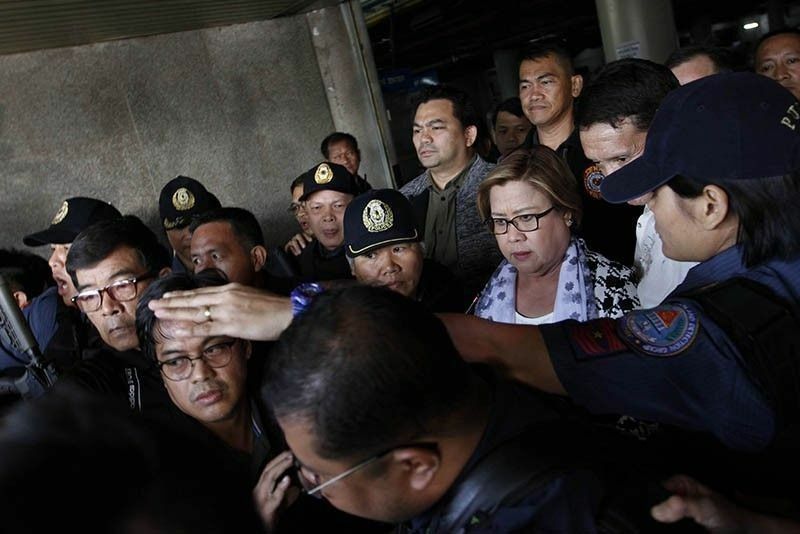 De Lima is not entitled to bail and could spend the rest of her life in prison, if found GUILTY. 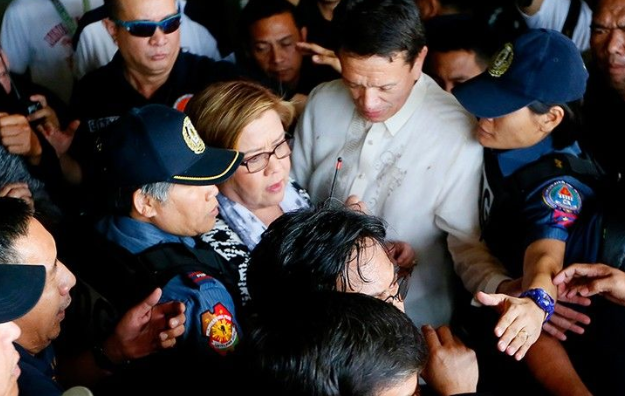 De Lima remains to be one of the most vocal critics of the President, on his bloody War on Drugs leaving thousands dead which she believes is a result of ‘unlawful killings’.